Burmese illegal migrant Charlie Tiyu is waiting on treatment for pelvic fractures and for an intestinal operation at Bangkok’s Police General Hospital before being deported, probably in the next few months. He is chained to his hospital bed. Mr Tiyu’s case is only the tip of a huge iceberg. Thailand’s humanitarian laws have not really served him well. The 25-year-old said he had crossed the border at Mae Hong Son 10 years ago to work in Thailand and had been legally issued with a temporary work card for nearly five years. A man called Kai in Pathum Thani’s Lam Luk Ka district took him and other migrants to work at construction sites. About two months ago, he went to work for a new employer, Tara Rit-taeng of Nonthaburi, without informing authorities. Mr Tiyu said his migrant worker’s health insurance at Thanyaburi Hospital in Pathum Thani expired on Jan 20. On Jan 9, he had a serious accident at a construction site at Charoen Pokphand’s food processing plant in Pathum Thani’s Lat Lum Kaeo district when a concrete wall fell on him. The foreman of contractor NSU Supply Co, Veerasak Khamsri, sent him to state-run Pathum Thani Hospital. Mr Charlie’s large intestine had burst from his stomach and his left hip was broken. The hospital said he could be discharged on Jan 25 but would need another operation on his intestine within two months. However, the hospital on Monday contacted police because he carried no identity card and could not pay his medical expenses of 70,000 to 80,000 baht. He was sent to the Immigration Police Bureau in Soi Suan Phlu in Bangkok, then was sent to the Police General Hospital for more treatment before deportation. Human Rights and Development Foundation (HRDF) lawyers contacted Pathum Thani Hospital last Friday and coordinated with the immigration police to help resolve the matter. However, Mr Tiyu’s employers and the contractor remained silent. 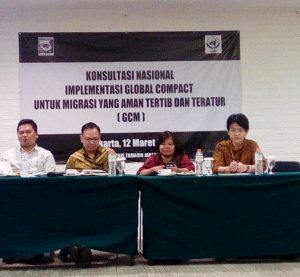 The HRDF also voiced concerns about the violation of the immigration police’s regulation that chains could not be used to restrain minors under 14 years, women, the elderly and injured people who could not flee. Doctors and nurses at the Police General Hospital said yesterday Mr Tiyu’s pelvic fractures and ruptured intestine had to be treated. Dr Samart Muangsiri, who is responsible for his case, was not available for comment. Pathum Thani Hospital’s head of social welfare, Voraphat Saengkaew, told the Bangkok Post that miscommunication between the HRDF and the hospital staff might have resulted in the call for police to take responsibility. “We’re not bad guys. In fact, the hospital has been shouldering lots of burdens for patients without any legal status for many years,” Ms Voraphat said. 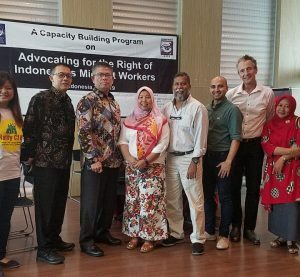 “Of course, there are humanitarian policies, but in practice there are a lot of issues that we have to resolve by ourselves on a case-by-case and daily basis.” Ms Voraphat said she had tried to contact employers to settle bills but they did not show up. She also found no other records from Thanyaburi Hospital, where Mr Tiyu claimed he had health insurance. This is the first year a healthcare subsidy for people without status has been allocated. Pathum Thani Hospital receives 170,000 baht a year for such purposes, but its medical bills for this group last year exceeded 8 million baht. “We’re handling some 200 people who have no status. Implementation of good policy is still an uphill task,” Ms Voraphat said. Surapong Kongchantuk, chairman of the Lawyers Society of Thailand subcommittee on human rights, thanked immigration officials for sending Mr Tiyu to hospital and not blindly deporting him. « Previous Article Domestic Worker Convention: More Chance of Change in the Middle East?